What Alien Magic have to say ? 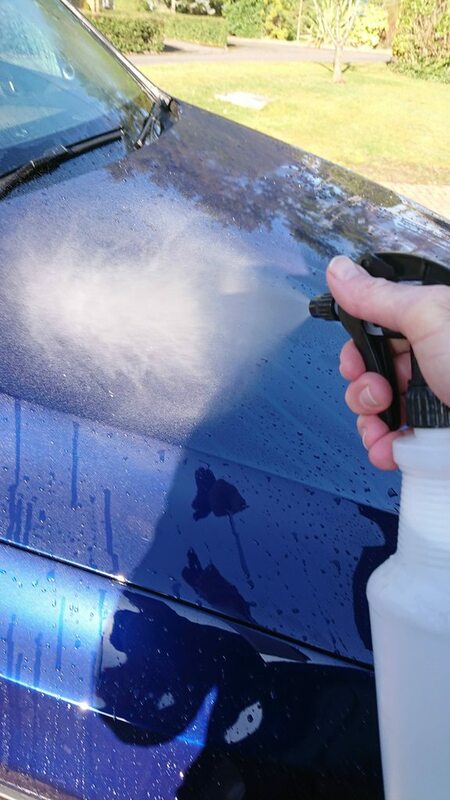 This highly concentrated formula delivers outstanding results and economy when used with a trigger spray, sponge or low-pressure washer and can be used either with hot or cold water. 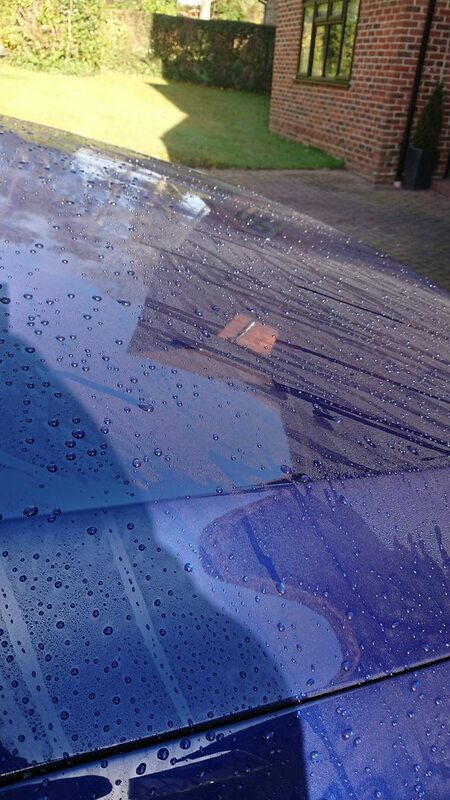 Using Nano Technology it produces an unrivalled fast drying action and leaves an extra deep gloss shine, free from spotting or streaking even in the rain! 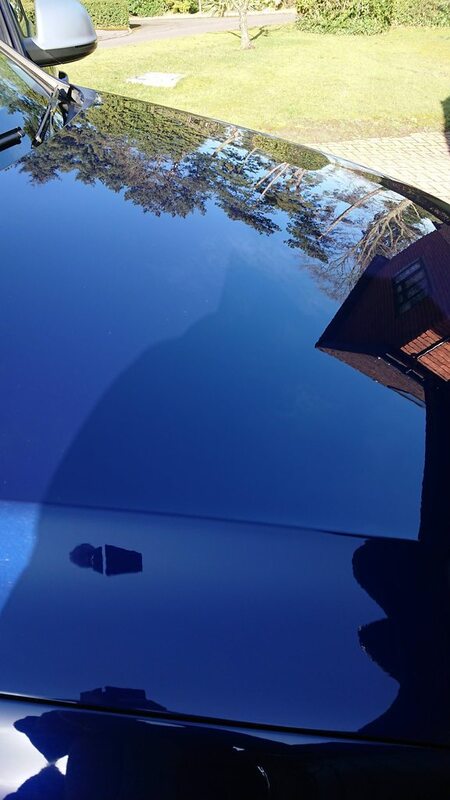 This extremely versatile liquid application polish is equally outstanding on painted, chrome, plastic and glass surfaces imparting a high gloss showroom finish. 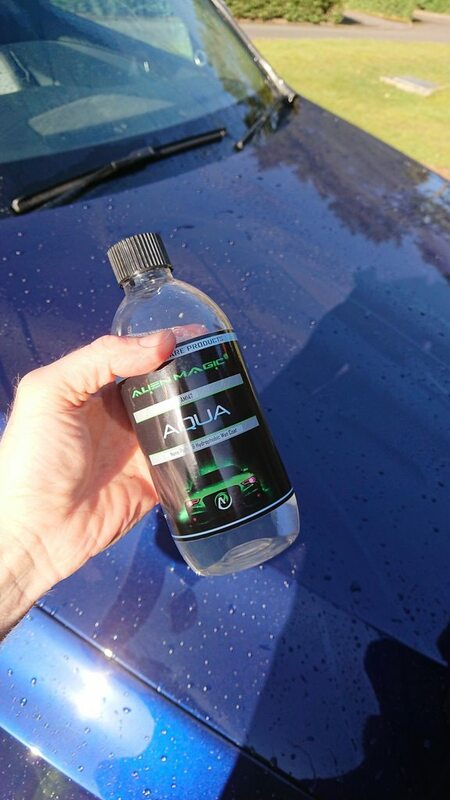 Free from streaking or spotting, Aqua significantly enhances rain repellence for up to 12 weeks which can be maintained and extended by dilution to our specific ratio and topped up every 2-4 weeks. Was a little windy ! Yes I like these products in the Winter months due to ease of use , speed and the results they give- Need to see how this one behaves in the rain . Very nice - looks to have a very nice gloss. What dilution ratio did you use ? "Detailingworld reviewer has followed the Manufacturers Instructions and accepts no responsibility to any circumstances arising from any member using these products or following this test "
I like the look of that. Very easily used, just what's needed this time of year! 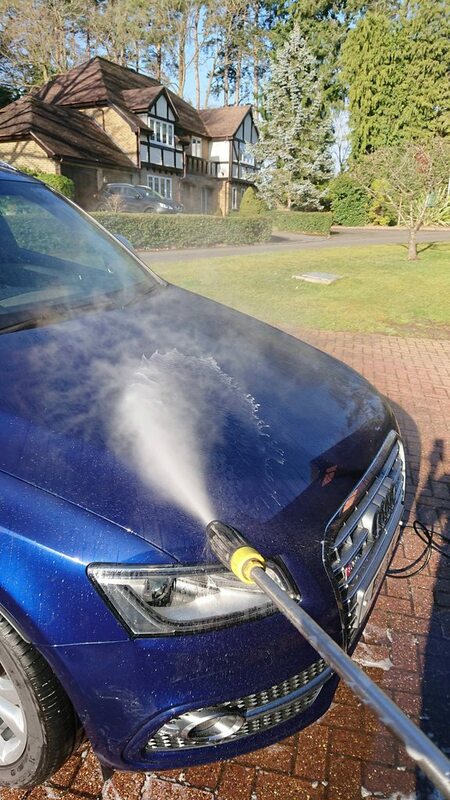 Aqua is very economical as it can be used neat as a spray on and pressure rinse off hydrophobic wet coat providing a barrier against rain, splashes, dirt and road debris for up to 12 weeks. Top up dilution ration 1:100 if your just maintaining the repellent properties of an existing Aqua coat. I used this a couple of weeks ago and really liked it. I actually used it neat as it was going on a car with no protection. If that is 1-50 then that is very impressive indeed.